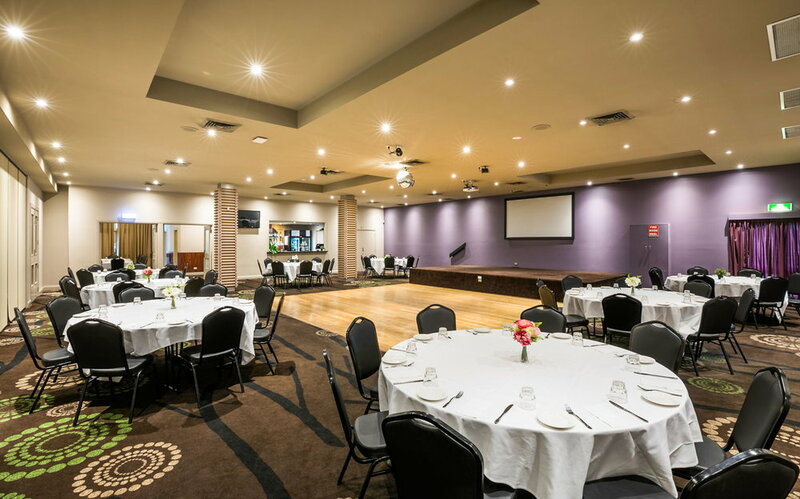 Situated on the corner of Heatherton Road and Springvale Road, the Waltzing Matilda Hotel offers a new and innovative look for your next function. With friendly staff and a modern environment the hotel presents three generous rooms starting from the Banksia Board Room, Banksia Room & Lasers Room. Our Function Rooms can cater for virtually any occasion ranging from weddings, engagements, birthday celebrations, Christmas parties, corporate functions and social events. We can tailor a complete package to cater for your needs, with a large range of menu options. Our highly experienced chefs can cater for cocktail parties, buffet carvery, sit-down menus and corporate meetings. The Lasers Room is perfect for large events including 21st birthdays, Christmas parties, reunions, presentation nights and more. The room boasts a fully stocked bar, pool table, dance floor, DJ booth and disco lighting throughout. Our Banksia Room is our most popular room for all occasions. Comprising of a large dance floor with disco ball, performing stage, fully stocked bar, big screen projector with AV capabilities and more this spacious function area is perfect for large formal and celebratory function occasions. Perfect for your next corporate meeting, seminar or training session. The Banksia Board Room includes in the room package a white board, microphone, projector and screen.